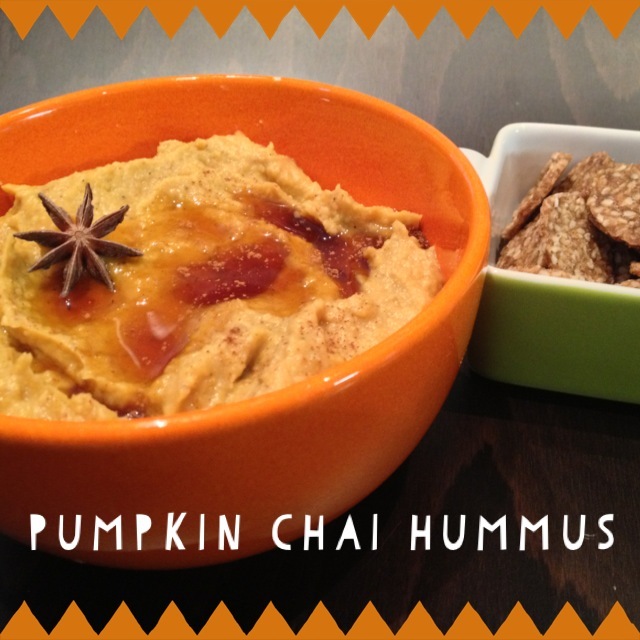 Ashley, my hummus-co-blogger, is back to share the sweet hummus we came up with this weekend — it’s a great pairing to the Roasted Butternut Hummus because it uses the other half-can of chickpeas and the other bit of butternut squash, as well as the Masala Chai Spice Blend we posted yesterday. 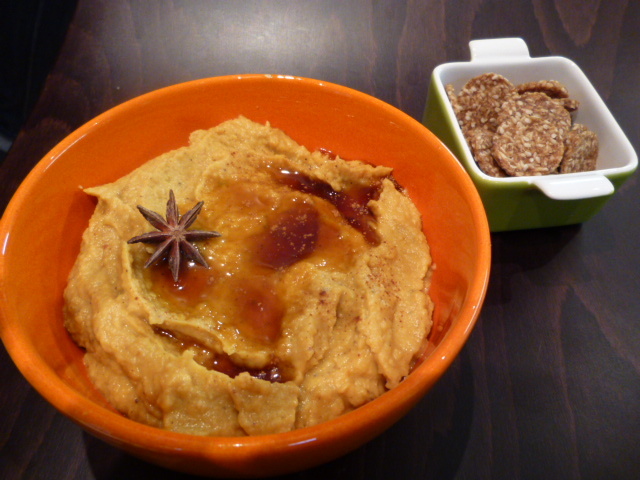 We’re calling it “Pumpkin Chai Hummus” even though it’s technically “Roasted Butternut Squash with Chai Spice Hummus” because that’s a bit of a mouthful. 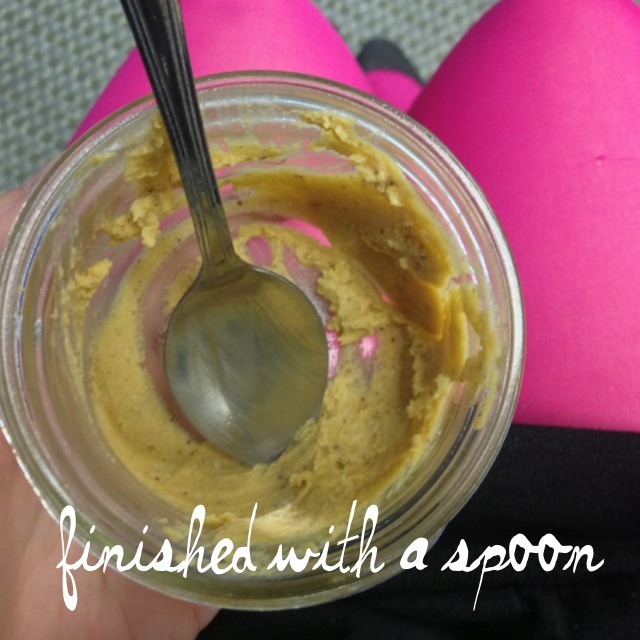 And this hummus is a supremely delicious mouthful… we recommend it with ginger snap cookies. All the summer lovers and sunshine seekers will hate me for the statement that I’m about to make, but I don’t care. I love the crisp air. I love tights and cardigans and boots. I love back to school shopping, even when I may not be going back to school. I love tea and excuses to snuggle and everything pumpkin. I love soups and stews and all sorts of comfort. Also, legwarmers. With all of that in mind, Linz and I set out to make some hummus that captured that deliciousness of fall. 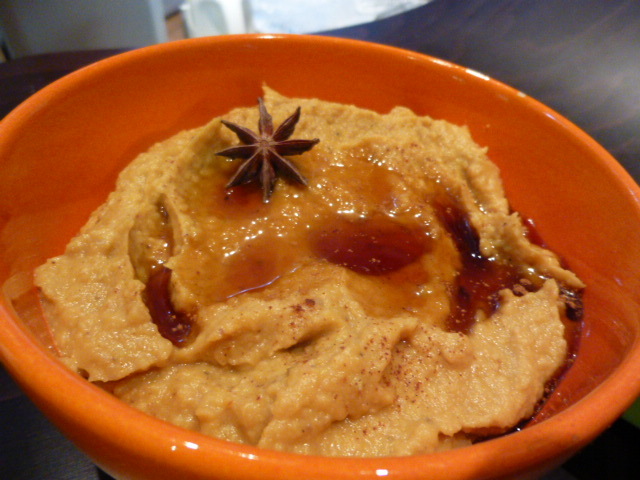 I think the savory Roasted Butternut Squash Hummus we created FEELS like autumn with the sage, spices and roasted seeds. But to be honest, when we were making it I had already checked out a little because I had fallen in love with our first sweet hummus. We knew that sweet hummus needed to be a part of our month and thought butternut squash would provide a great base to experiment. We started throwing things into the food processor and some raw chai crackers provided some inspiration as to how we were going to spice up our sweet friend. Chai spices, maple syrup, Bourbon Vanilla Extract, and coconut oil make this sweet hummus good enough to eat entirely on its own. It tastes like fall and therefore it tastes like happiness and therefore I just want to eat it all. 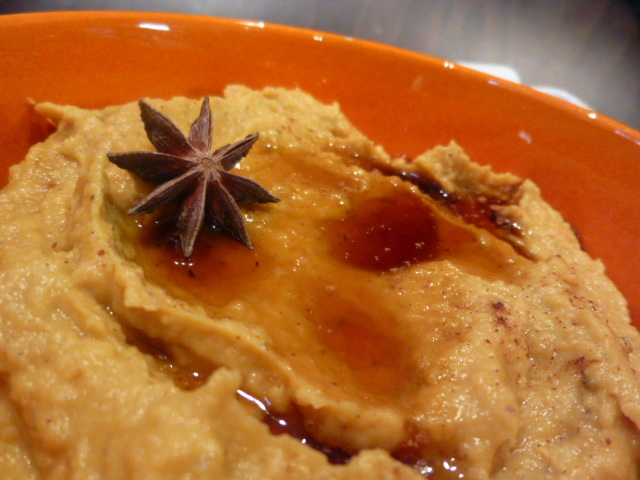 Yes friends, sweet hummus is a stellar idea. Scoop out the flesh of the roasted butternut squash and discard the peel. Place all ingredients in a food processor and blitz until smooth (you may need to pause and scrape down the sides). Top with an extra drizzle of maple syrup and a star anise, so people know it’s sweet. Eat and enjoy the sweetness of fall! Ohhh my god, this looks amazing! Hmmm sounds great 🙂 Gonna try that soon. Must get pumpkin and make this. Yes, or any winter squash. You must. Ahhhh you got me there. I think it would be great though with pumpkin, or any of the “non-stringy” winter squashes: acorn, butternut, delicata, kabocha, kari, etc. Made this one last night – it was a hit for Rosh Hashanah dinner as a sweet treat to go with the pomegranate seeds and apples with honey! These were extra good on gluten-free apple and honey crackers. Next time, I’ll probably try it with Acorn Squash just so it comes out a little softer from the roasting. Definitely going to try with coconut oil next time (I tried it with a mix of sunflower oil and melted butter since that’s what I had on hand, but the consistency wasn’t quite right). We also added a dash of cinnamon sugar on top. SO GOOD!